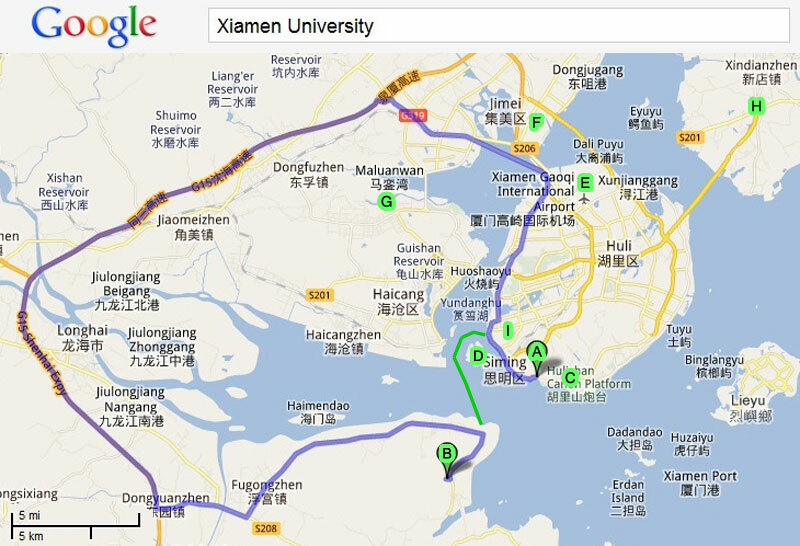 "Up" takes you to "Introduction to China"
From Aug 2011 to July 2012, we were living at "B" on this map, in a small town (Zhang-zhou Development Zone), connected by ferry (green line) to the huge island-city of Xiamen (3.5 million?). Then we moved to "C", because the freshmen live and study near there (just a few bus stops away from "A" (the old Xiamen University campus, in Xiamen, where Michael studied in the 1980s). The other marked places come up in our other web pages. Click here for a map of how to get to our apartment in Shang-li. 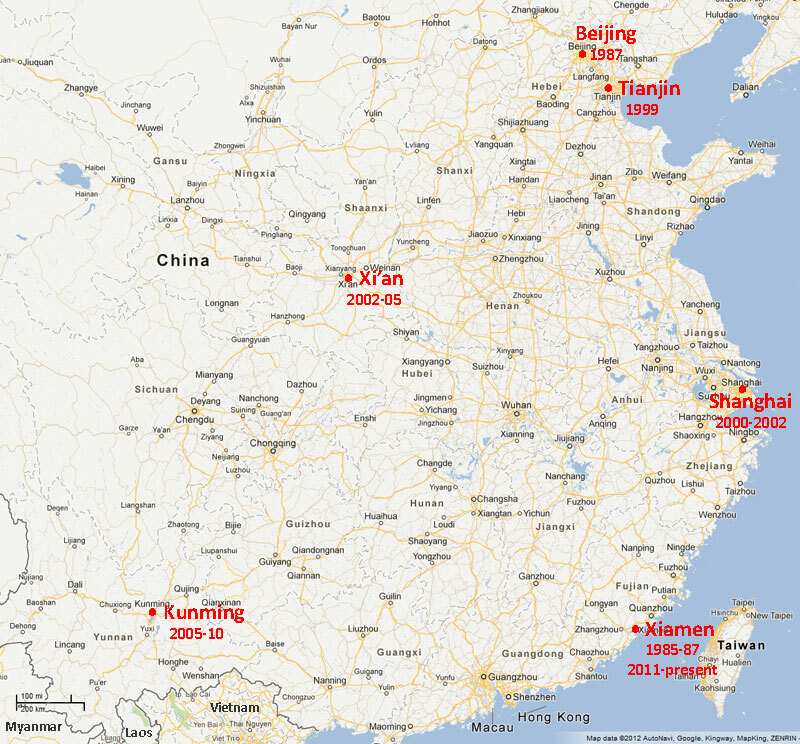 By the way, according to Google, "A" is about 100 km (60 miles) from "B" by road (blue line). That takes about two hours, but the ferry (green line) and special "teacher buses" cuts the trip to 50 minutes. Have you seen our photos of China? Click here for our Photo Album Index, or see the list of photo pages on our Site Map.